The United Nations (UN) Intergovernmental Panel on Climate Change’s (IPCC) Working Group III (WG-3) released the third, ultimate installment of its fifth comprehensive science-driven policy review and assessment of climate change in Bonn, Germany on April 13. Entitled Climate Change 2014: Mitigation of Climate Change, the authors of the third installment of the IPCC’s fifth global climate change assessment report (AR-5) state that actions to reduce global greenhouse gas emissions (GHGs) by 40-70 percent compared to 2010 levels need to be realized by 2050, and to near-zero by the end of the century if “dangerous interference with the climate system” is to be avoided. The IPCCC AR-5 WG-3 report authors highlight the growing costs and risks of climate change inaction, costs and risks that appear increasingly apparent in light of 2013’s extreme weather events and climatic indicators. They also highlight that the technological, financial and human resources necessary to make the transition away from fossil fuels and achieve the required GHG emissions reduction goals exist today. What’s lacking is the political will and socioeconomic push to motivate and realize them. IPCC AR-5 offers valuable insight as to the increasingly collaborative nature of scientific research, collaboration that is essential to identify and address issues and problems, such as climate change, that are global in nature. It also highlights the critical role multilateral organizations, such as the UN system, and institutional frameworks, such as the UN Framework Convention on Climate Change (UNFCCC), play in crafting and enacting solutions. In an open, transparent and inclusive process to produce the final installment of IPCC AR-5, 235 authors from 58 countries comprehensively reviewed the scientific research regarding climate change mitigation, as well as over 38,000 public comments. 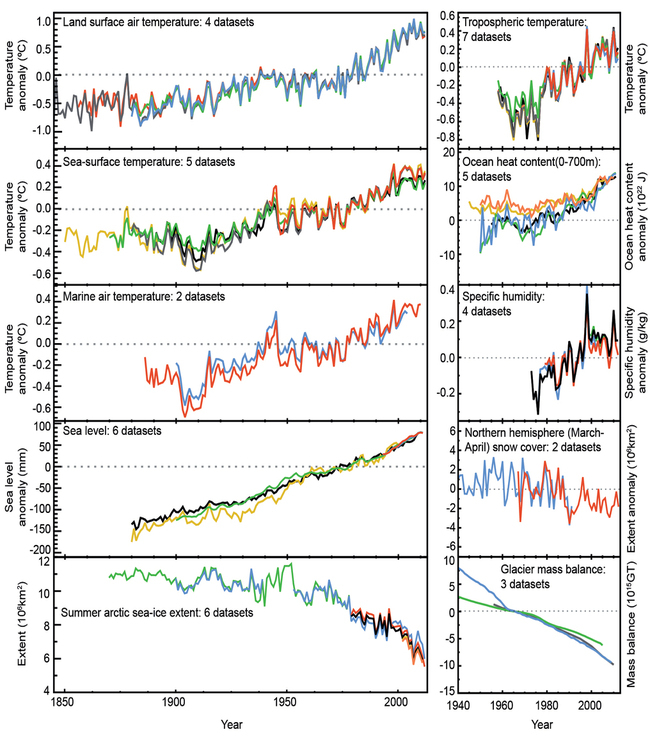 Some 1,200 GHG-emissions and climate-change scenarios were produced and analyzed by 31 modeling teams around the world. They explored and examined “the economic, technological and institutional prerequisites and implications of mitigation pathways with different degrees of ambition,” the IPCC explains in a press release. 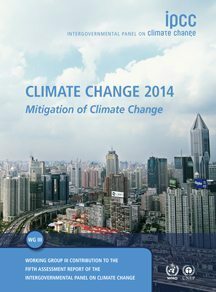 Drastic reductions in GHG emissions need to be realized in this and coming decades – on the order of 40 percent-70 percent by 2050 and 100 percent by the end of the 21st century – in order to stay within the 2°C (3.6°F) temperature bounds agreed by scientists – as well as world governments party to multilateral climate agreements – to assure the maintenance of a comparatively stable climate conducive to life as we know it. Taking climate mitigation actions on a scale necessary to achieve the advised reductions in GHG emissions need not put much of a damper on economic output and performance, according to the report authors. The AR 5, WG-3 report authors emphasized that numerous and varied GHG emissions-reduction pathways exist today. The longer we put off actions to drastically reduce GHG emissions, the higher the economic, social and environmental costs will be, prompting the need to take more drastic, more costly and less certain remedial actions. “Many different pathways lead to a future within the boundaries set by the two degrees Celsius goal. All of these require substantial investments. Avoiding further delays in mitigation and making use of a broad variety of technologies can limit the associated costs,” Edenhofer added.